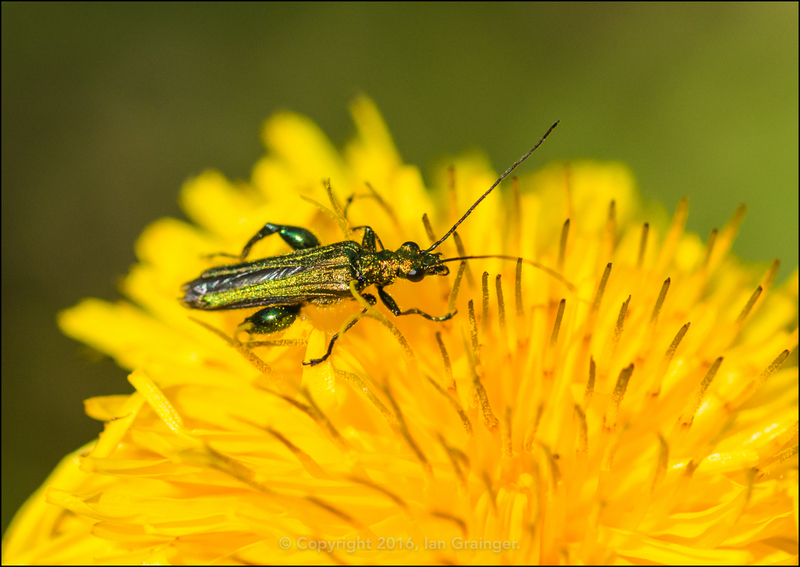 Despite being relatively common, this Thick Legged Flower Beetle (Oedemera nobilis) is a new beetle to me. You can see where it gets its name, just look at those powerful looking rear legs. 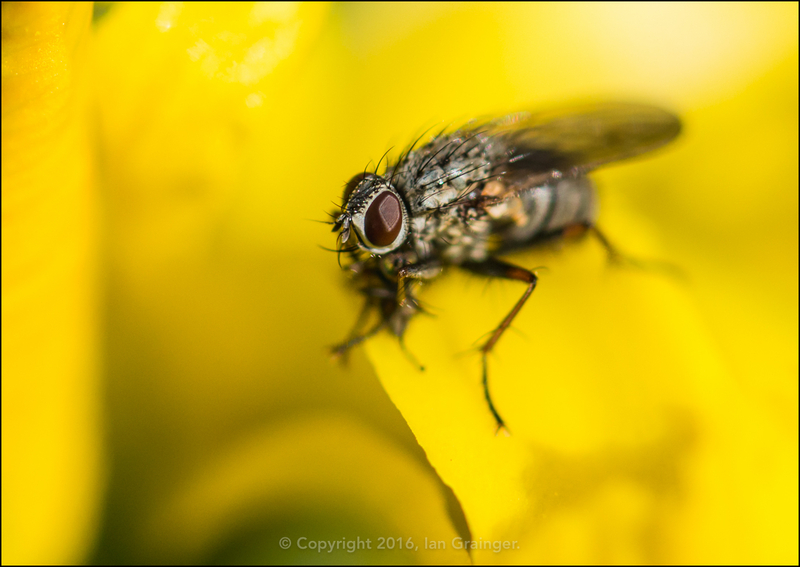 It wasn't the best of week's to be hunting for insects. I know it's just turned June, and should be summertime, but we've been experiencing what can only be described as winter weather for the past few days. ...or hiding within flower petals like this one. 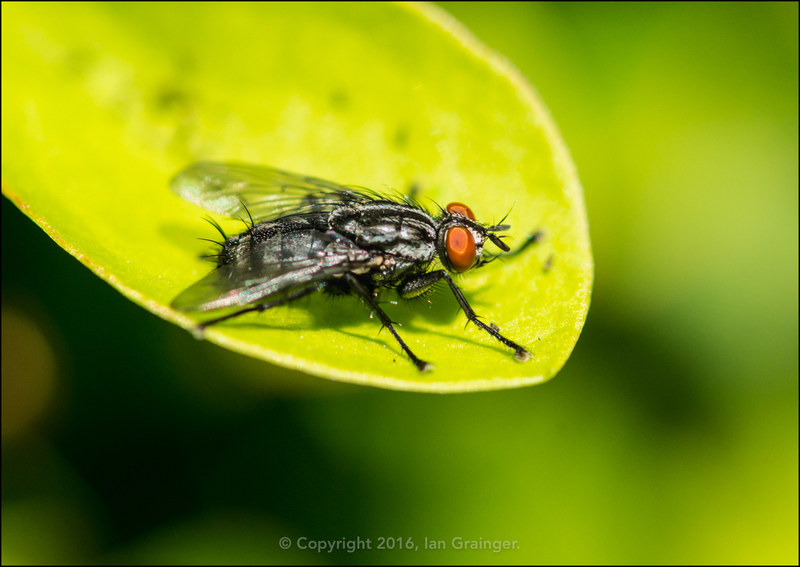 If you look closely, you can see that this one is actually munching away on a smaller fly. The cold and wind didn't seem to be effecting the birds so much, and there were plenty of them buzzing around the sky. 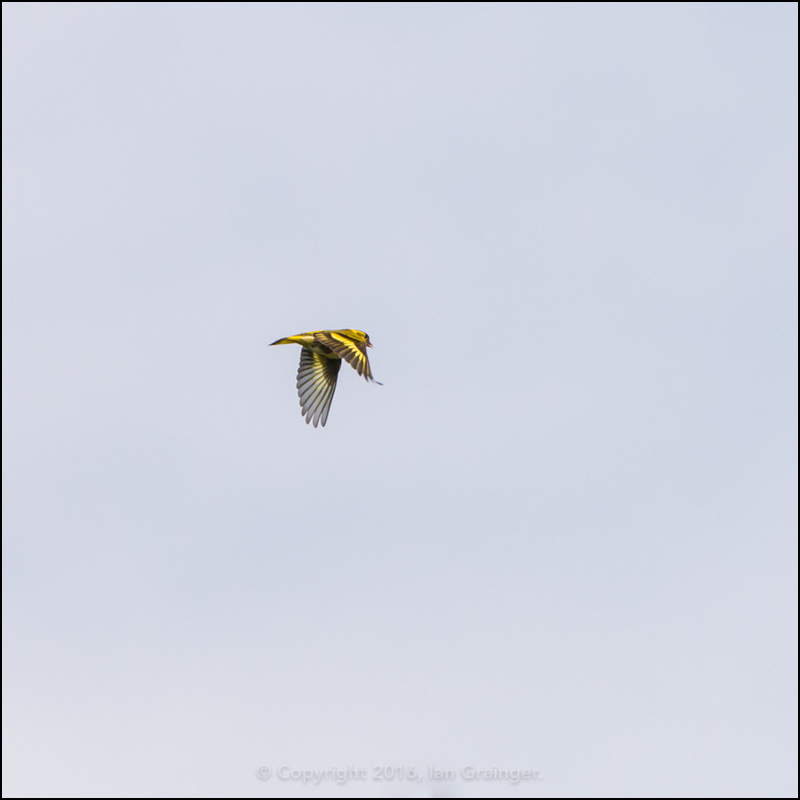 I was quite pleased to grab a shot of this Siskin (Carduelis spinus) making its way between perches. 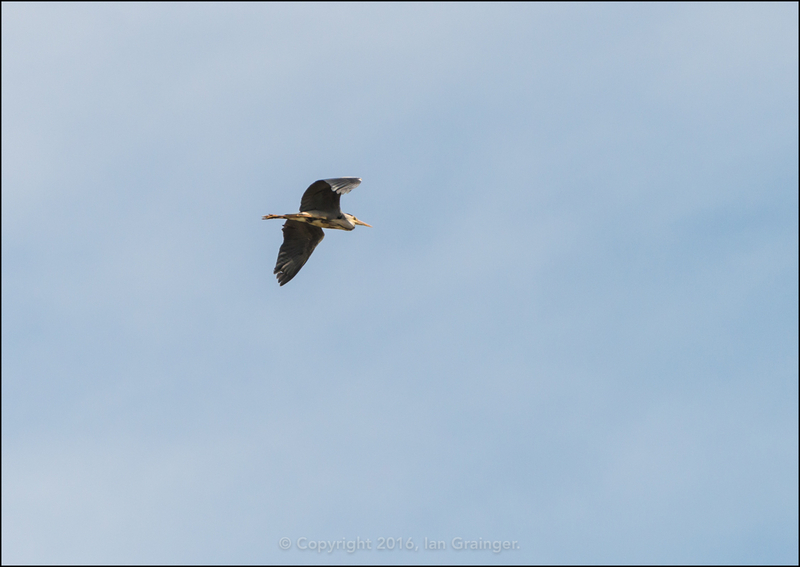 And my old friend the Grey Heron (Ardea cinerea) was a welcome sight as it's the first time I've seen him this year. He used to pass by a couple of times a day but must have changed his routine! 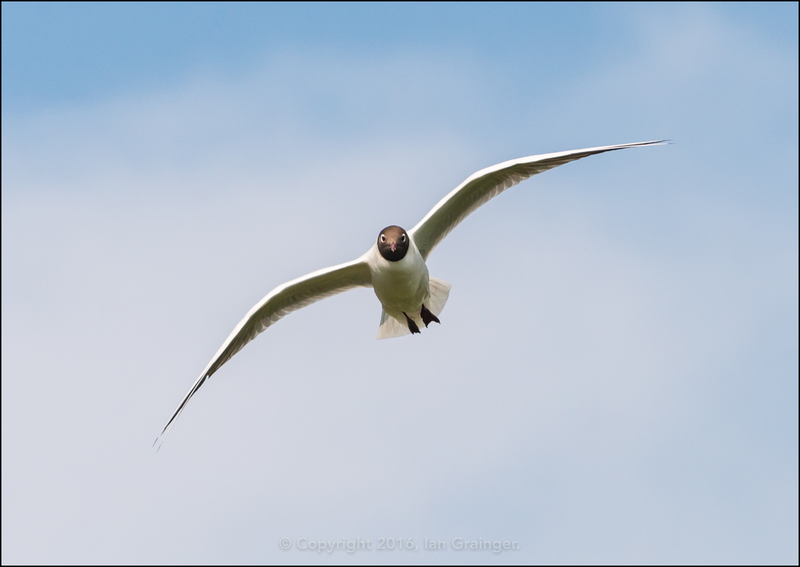 This Black Headed Gull (Chroicocephalus ridibundus) seemed intent on singling me out for some reason. I must have been too close to his next intended meal. It's always nice to be able to photograph a Swift (Apus apus), and even better when it turns out to be in focus. 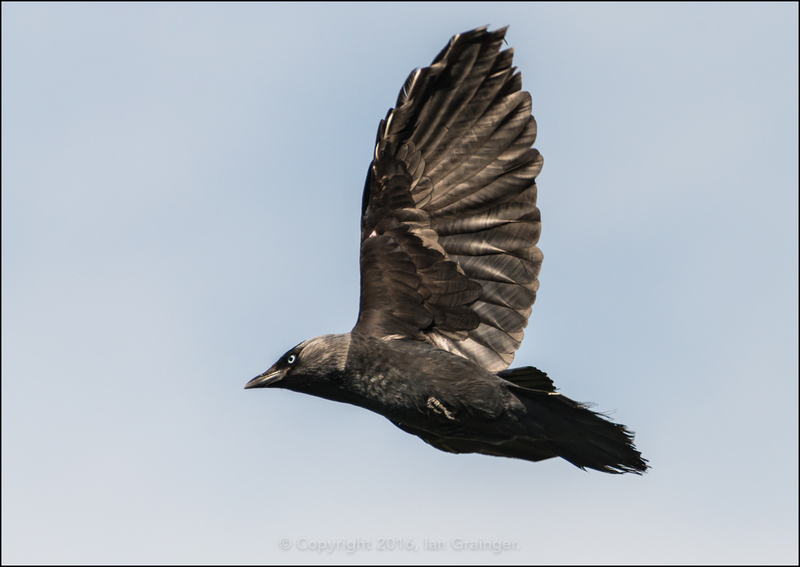 This Jackdaw (Corvus monedula) had a very determined look on his face, like he was up to no good! 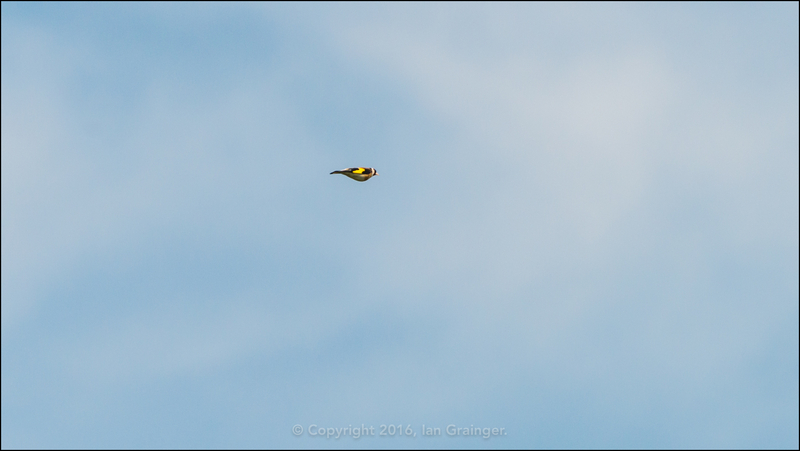 Finally for the medley of birds is this Goldfinch (Carduelis carduelis). It's a bit annoying that when I finally got one of these small colourful speed merchants in focus, it happened to have its wings folded. Oh well! 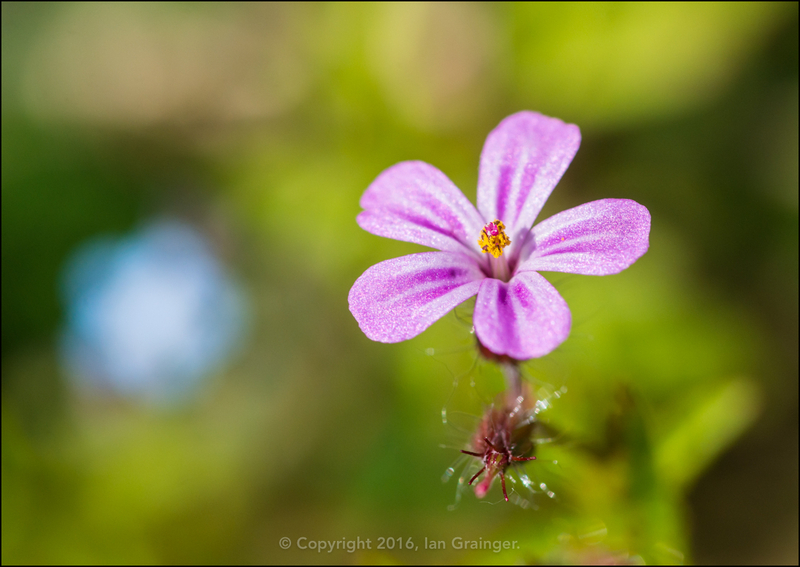 New to dad's garden this week was this pretty little Herb Robert (Geranium robertianum), which is part of the Geranium family. It's classified by most gardeners as a weed, but I think it's rather pretty. 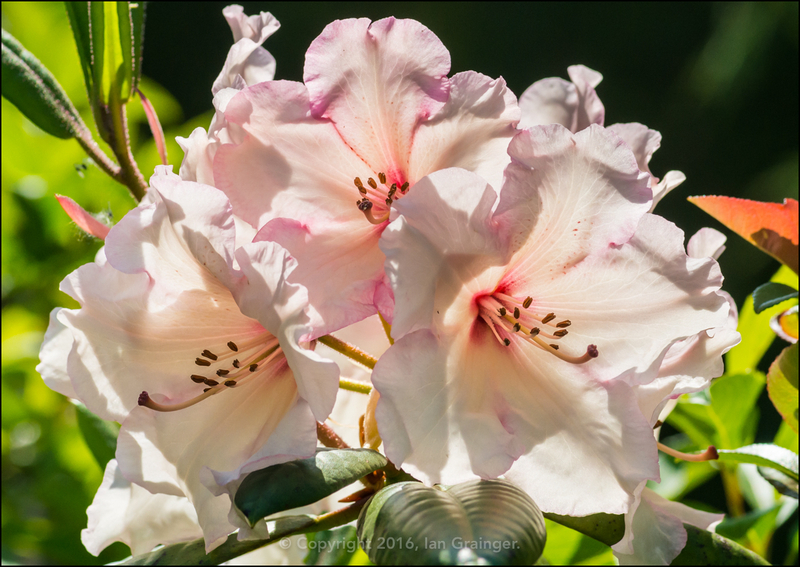 The Rhododendron has finally come into bloom. The bush is covered in these lovely showy flowers which change from red, to pink and then to white. One of the Roses (Rosa) has also come into bloom. 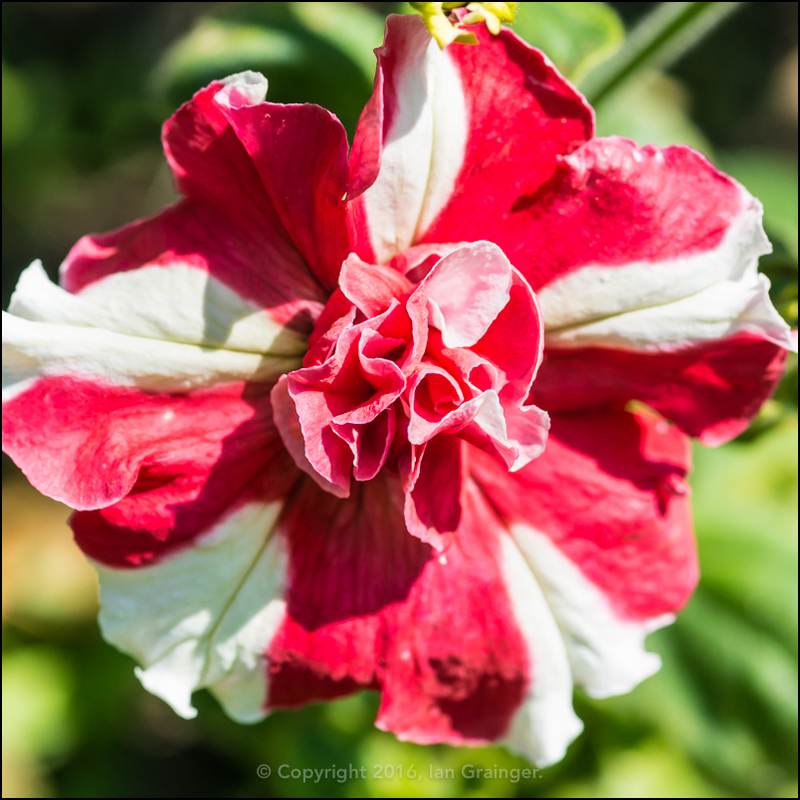 This one is called Queen Mother, I think, and has been a very prolific bloomer in dad's garden for years. 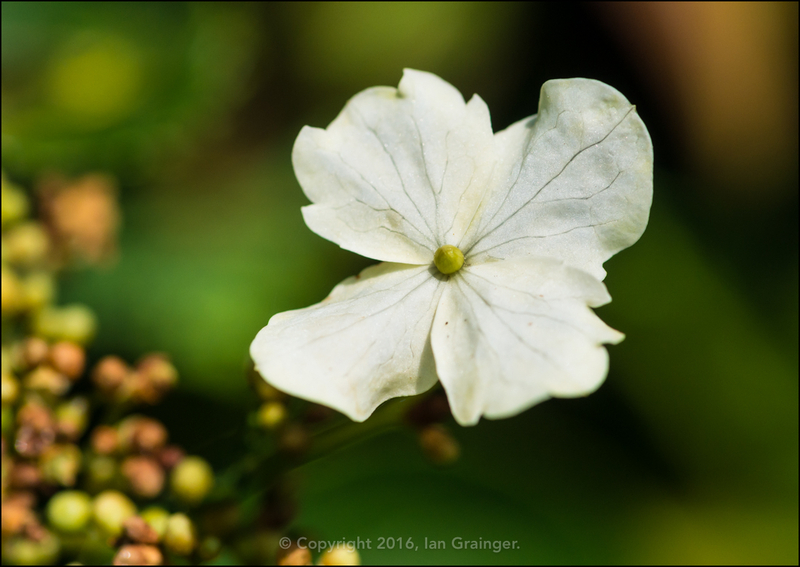 The climbing Hydrangea has also started producing flowers, or should I say bracts. 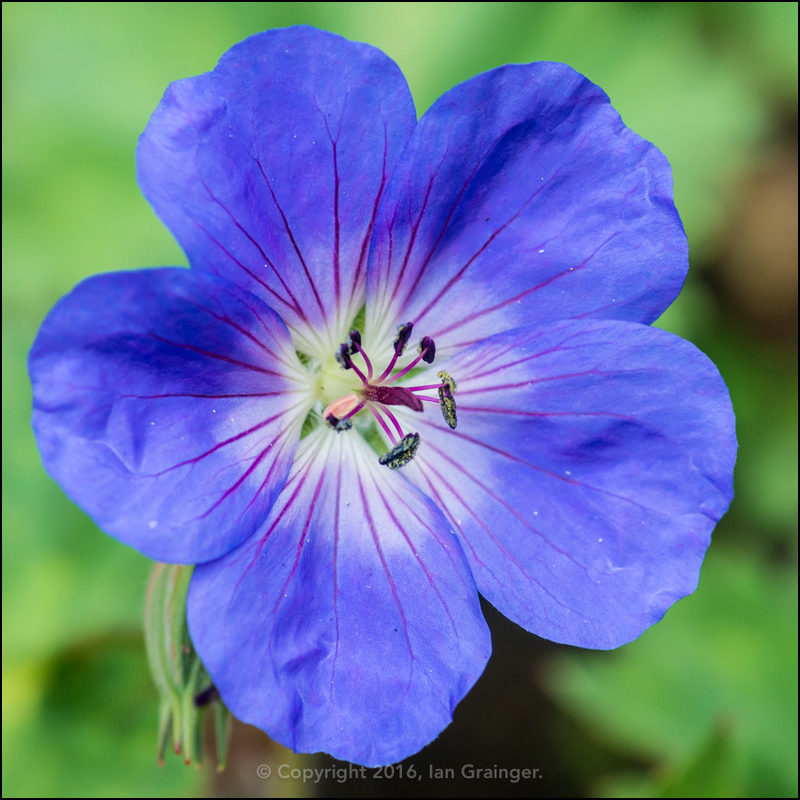 Another new arrival is this hardy Geranium. I don't know the name of it unfortunately, but it comes back year after year. 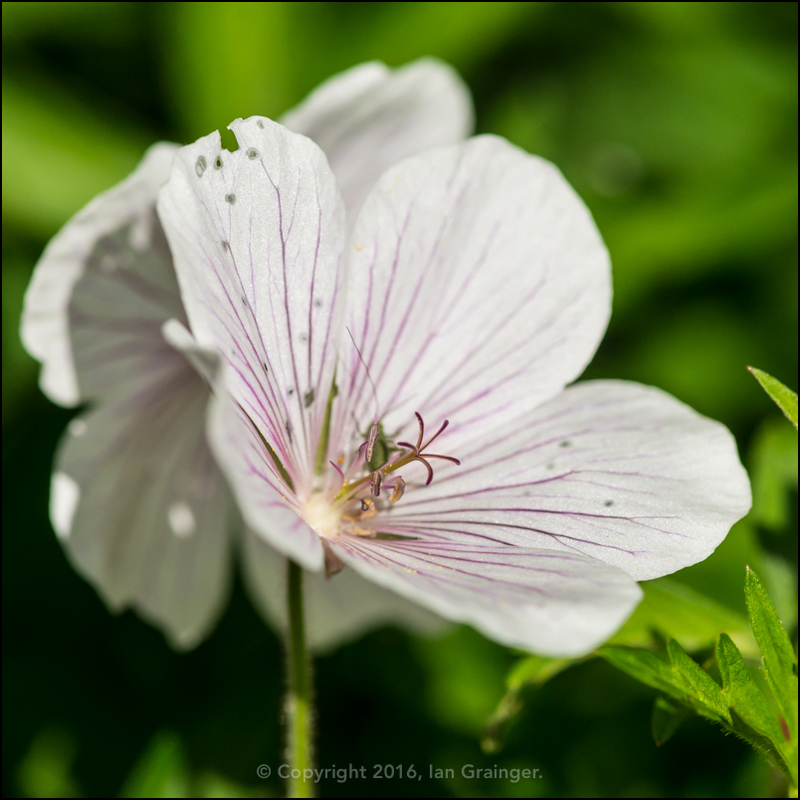 Another perennial Geranium is this lovely white one with dark veins running through the petals. Again I'm don't know the name of it, but it's another one that returns year after year. 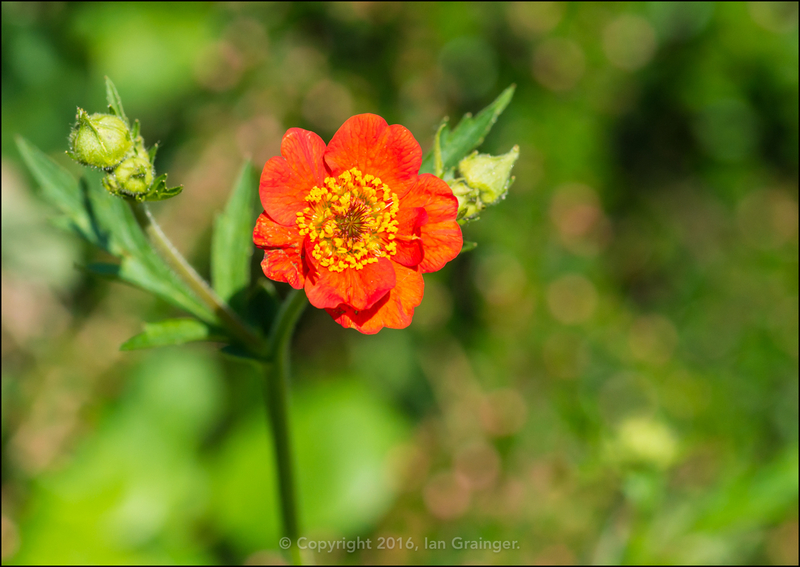 The Geum is still putting on a nice display, and has plenty of fresh buds waiting to open. 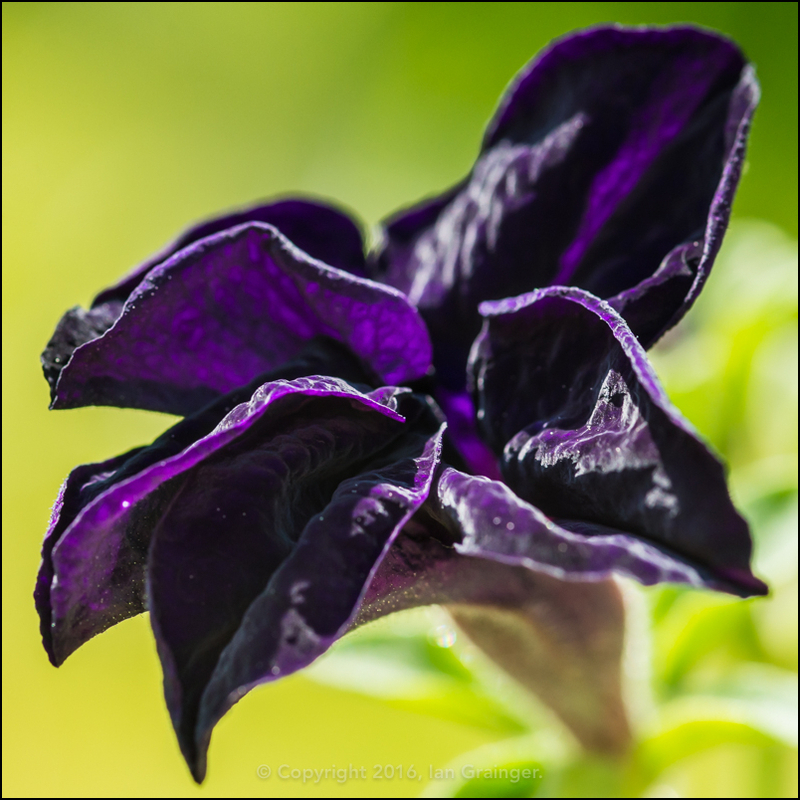 ...and this fantastic looking purple one, with the texture of velvet. 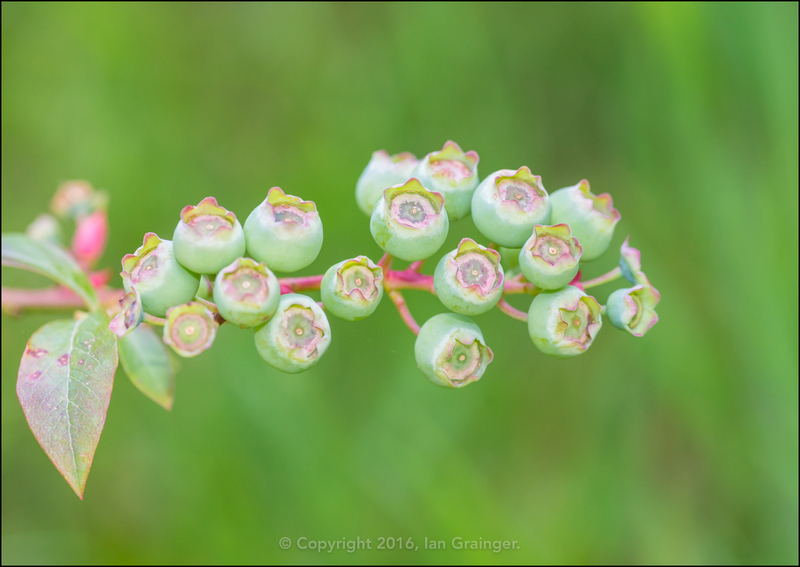 The blossom has finally gone from the Blueberry bushes, the insects have done their job, and the blueberries have started to form. 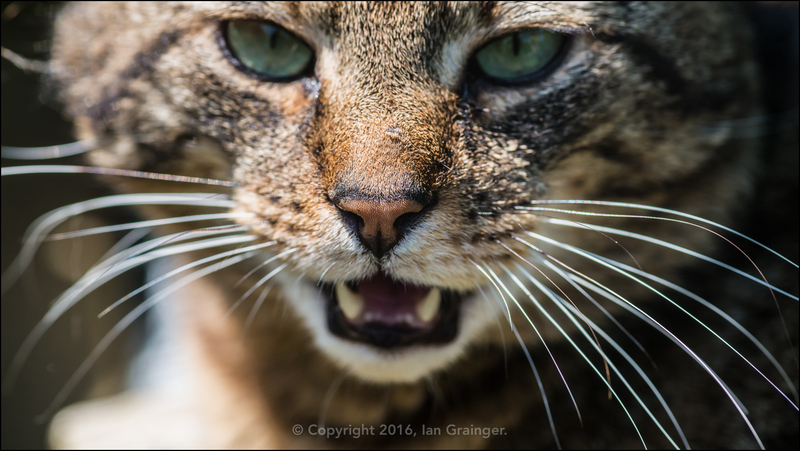 My photo shoot companion was a bit nonplussed about the whole shoot this week, spending most of the time asleep indoors. When he did come out to join me I only managed to grab one shot of him before he turned tail and went back inside. Sensible boy, as it was rather cold! 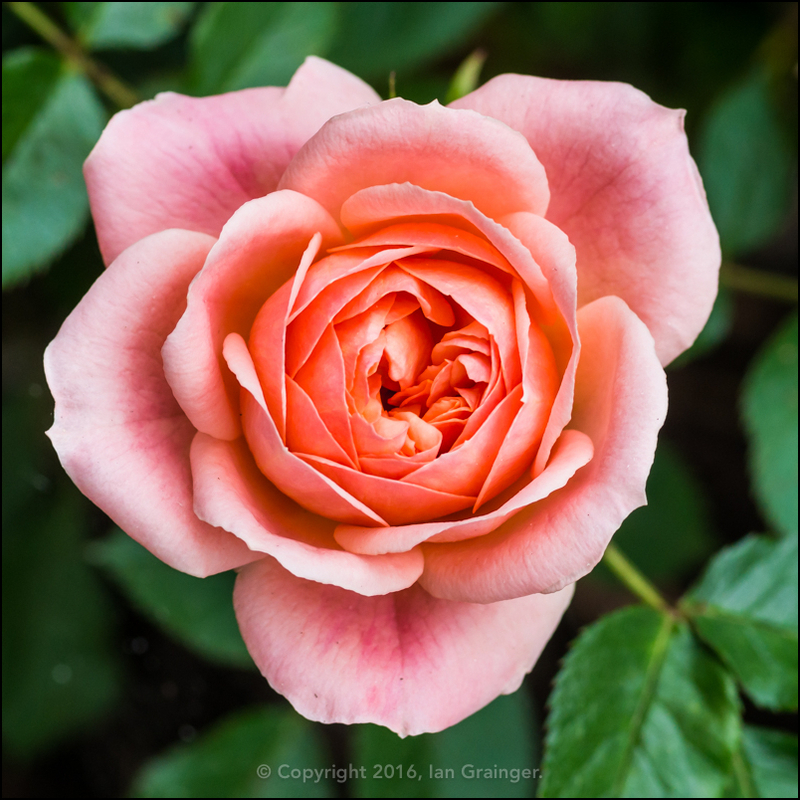 Back in my own garden, one of my patio Roses has begun to flower. 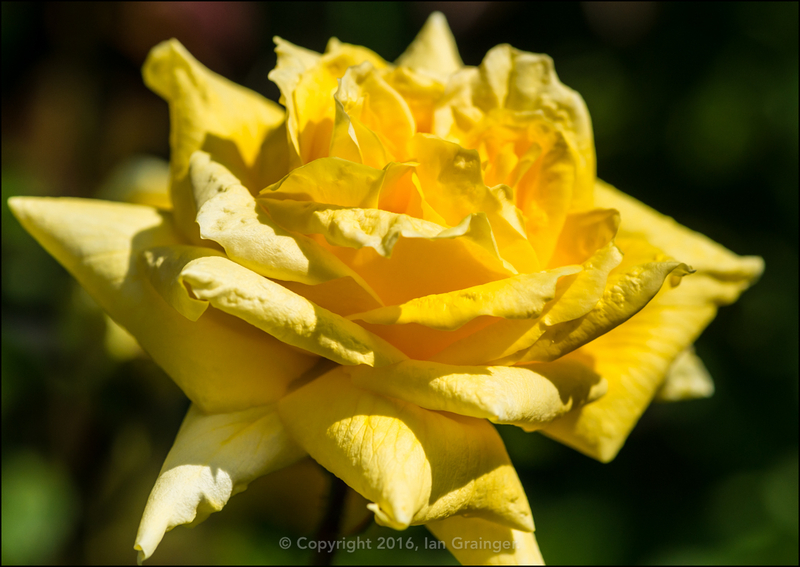 I'm quite pleased as it was covered in white fly a couple of weeks ago, but a quick spray with some Rose Clear seems to have done the trick. 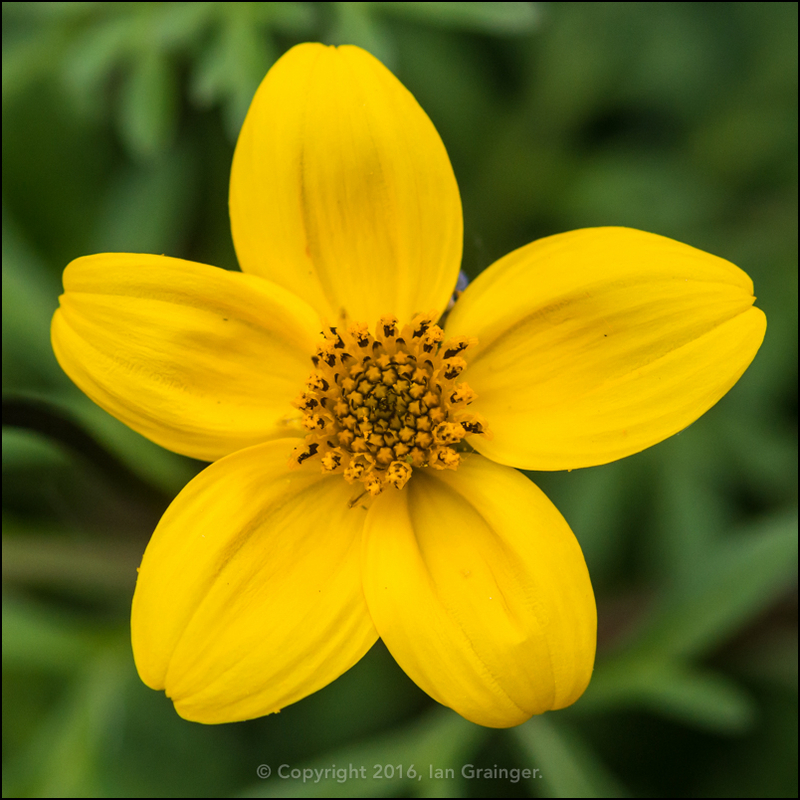 Bidens is a new plant to me, and this variety is a trailing variety that I've planted up in my hanging baskets. 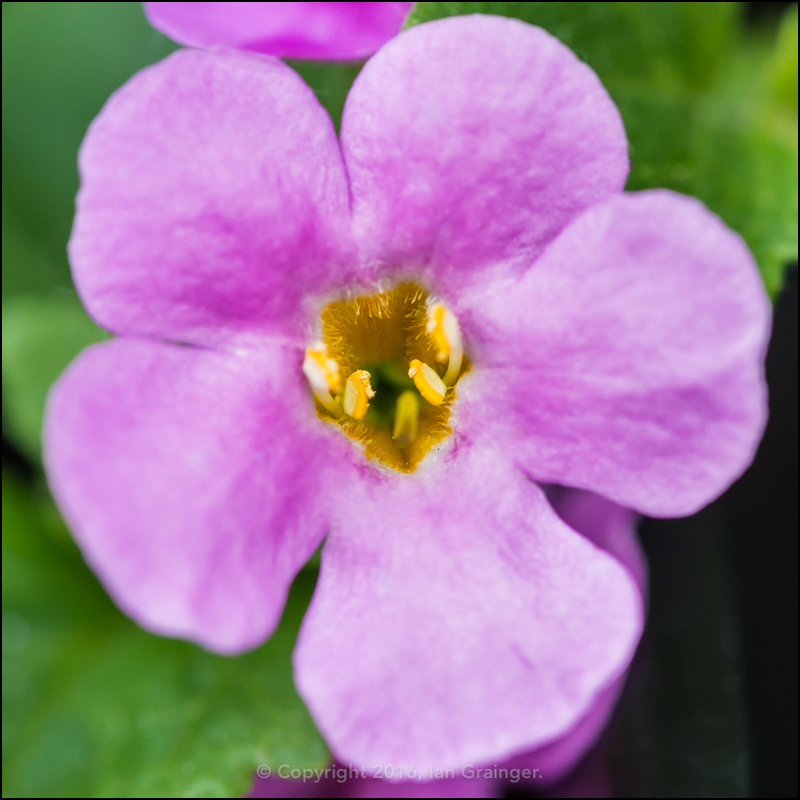 This Bacopa is another trailing variety, of which I've got pink and white variations, which should look good when they fill up one of my baskets. 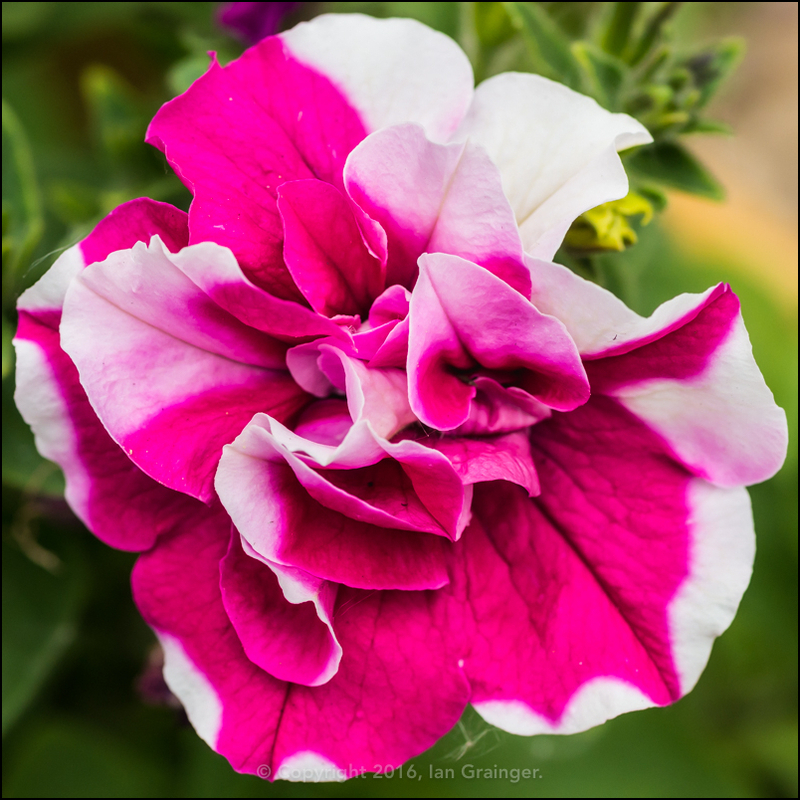 Going back to my love of Petunias, this Double has to be my favourite one so far. I know I've said that I prefer the Single varieties as they are more accessible for the bees, but, I mean, just look at this. It's stunning! This one reminded my of stripy pyjamas, hence the title. 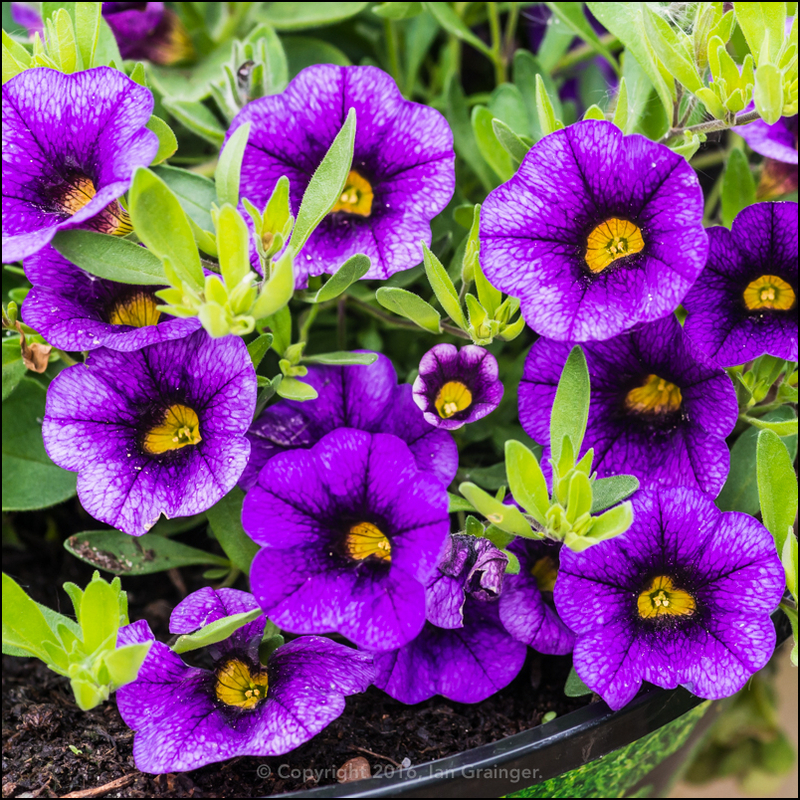 Another plant for my hanging baskets is this Million Bells (Calibrachoa). 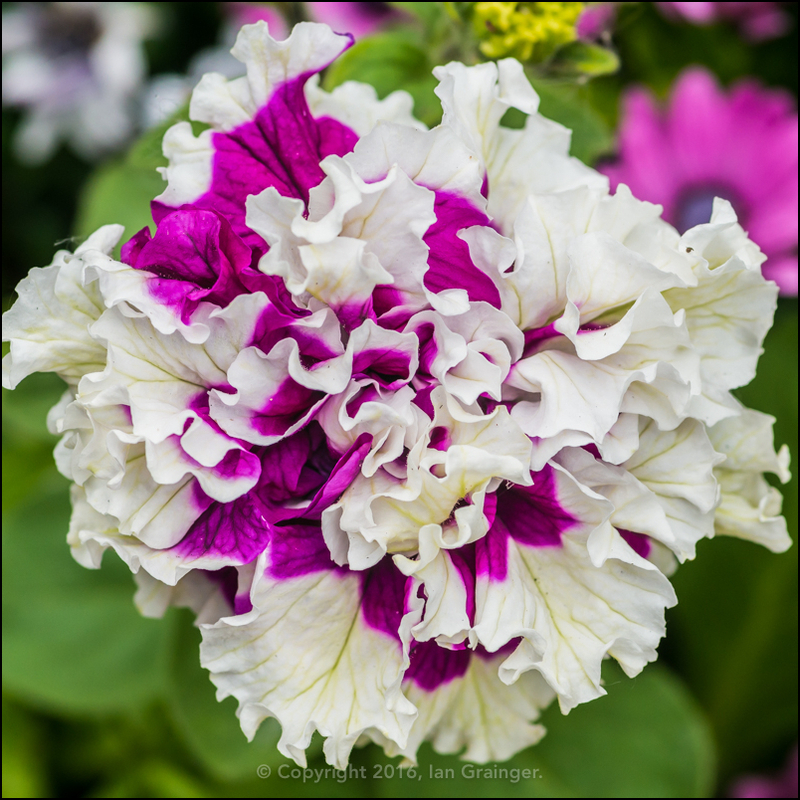 It is a prolific flowerer, and has the advantage of not even needing to be dead headed. 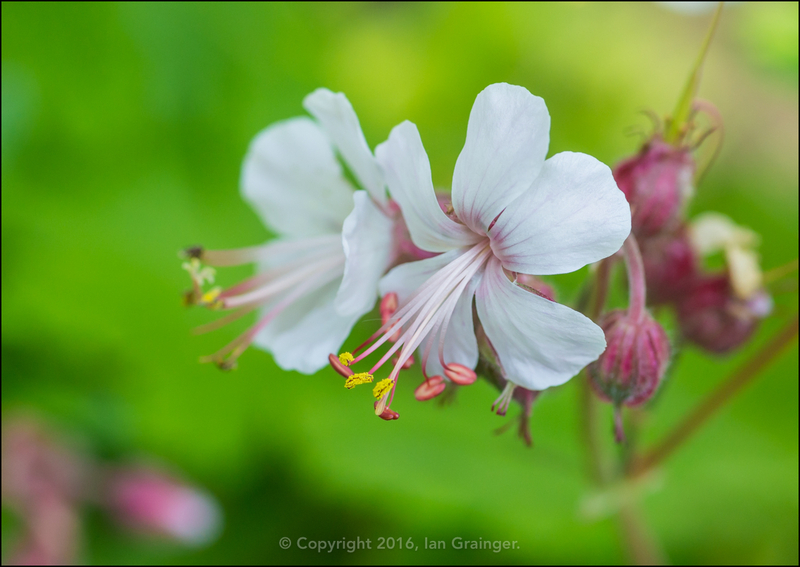 Finally, this Geranium Rozanne made its first appearance of the year. I now expect it to keep flowering until the first frosts.